Baby sensory toys are fantastic to encourage baby and their development skills. The toys for babies are all about helping with multi-sensory skills, such as motor skills, hand-eye coordination and much more. Babies learn through play and bright coloured active toys in their early years are vital for helping their senses develop. Which baby sensory toys to start with? Play mats are a fantastic first toy for sensory play. Many mats include different types of grasping toys, rattles including sensory ones. Combine this with something simple like a sensory ball (the just b balls are fabulous for this) and babies and toddlers will really enjoy both fine motor and gross motor play. Are Teething Toys Babies Sensory Toys? YES! Whilst teething toys help with baby's teething pains and are primarily used for babies to chew their gums on, many have mini activities included in them. From rattles to different graspers, they often combine many different materials and textures allowing baby to play and learn, as well as soothe their gum pain! 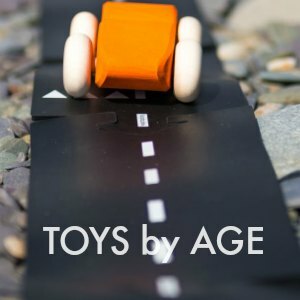 What are the best first Activity Toys for Baby Sensory Toys? Any activity toys which combines bright colours, different patterns, different textures, and different noises are fantastic baby sensory toys. 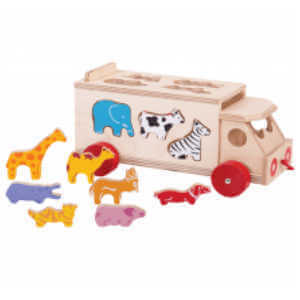 When choosing your first toys look for those which have a combination of all of these, whether made from wood, cotton or BPA free plastic we have a wide range here! Make sure, when choosing your first sensory toy, that you choose a toy which is easy for baby to grasp, especially for younger babies. 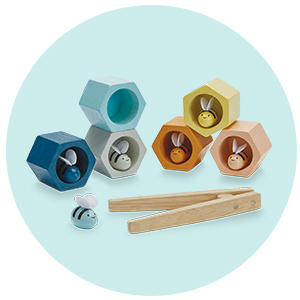 A little wooden grasp rattle is the perfect starting toy. The Just B Mini Oddballs are a perfect size, come in a combination of textures & are BPA free so great for the first baby toy. Are Musical Toys Good Baby Sensory Toys? Yes, yes and yes again, but start small! Remember this is a time in your babies life when everything is new. Rainmaker toys are fantastic for providing that sensory experience for your child without being too overwhelming, and ideal for play time on a play mat. When they can sit up unaided a first drum is great fun, especially combined with different beaters which make different sounds. 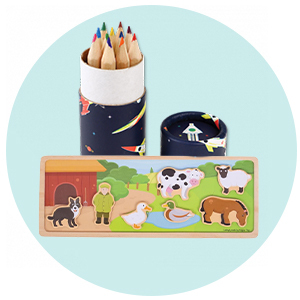 Something which appears simple, like a Grimm's wooden roller are fantastic first baby toys. From the multicoloured sides to the different bells inside, this is a great all-around first baby sensory toy. 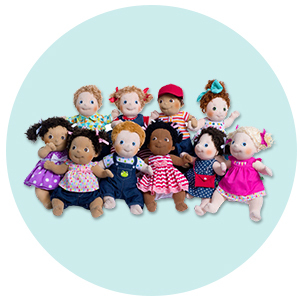 Naturally, all of our baby toys are completely safe, so you don’t need to panic! 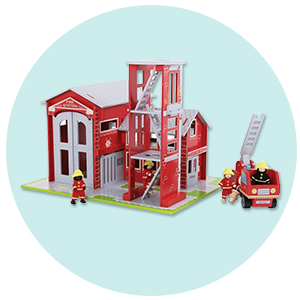 We only carry high-quality toys which have been extensively safety tests. 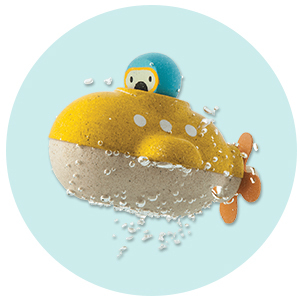 Our toys are natural, organic and most made with only natural colour water dyes. Natural rubber toys are fantastic for babies for several reasons. They are natural, sustainable and great to be chewed on! You can often use them in the bath or on the play mat, they are very soft so if baby drops them they won’t hurt themselves. 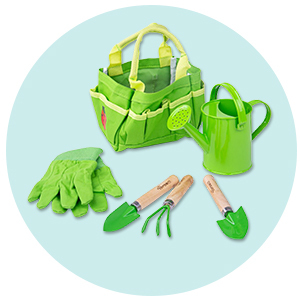 We love the Ollie & Carol range, this company also donate some of their profits to several children's charities. 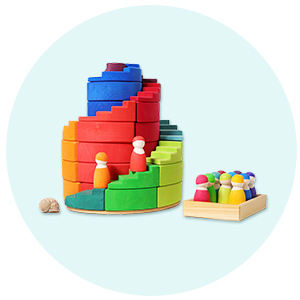 As your child grows, then the toys they play with can also grow and develop. As babies learn to sit unaided, they can have more activity toys like stacking toys, drums to beat on or even activity walkers. 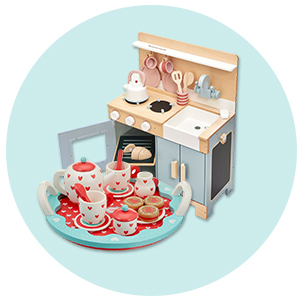 When choosing these toys, ensure that baby can still manipulate them, grasp them and play with them. Bigger does not mean better!